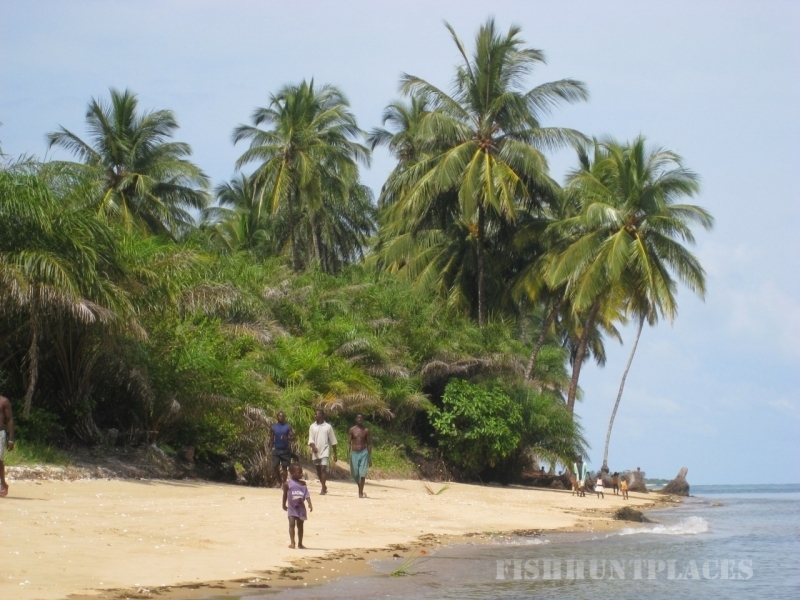 Sierra Leone offers some the best sport fishing in West Africa. Anglers from all over the world travel to Sierra Leone to try their luck on the Big Game Fishing and contribute to the amazing world records. The fishing grounds around Banana Island are renowned for the density of the fish, clear waters and exciting angling. Located between two major river mouths and well positioned in the continental self, Banana Islands can become the base for either deep sea fishing excursions or easy daytrips around the coastline. Several sport fishing operators have made their base on Banana Island and chartering a boat, or joining the standard fishing trips that are frequently operated requires no effort or advanced planning. The fishing lodges offer a variety of accommodation options. Novice anglers are typically given instructions and all necessary equipment for an exciting fishing trip. Several boats comprise each fishing camp’s fleet and the angler can choose the appropriate vessel for the needs of the excursion. The experience extends further than charter fishing boats, with the knowledgeable fishing guides having accumulated the understanding of what makes a successful fishing holiday. Anglers repeated visits to Sierra Leone is a testimony that sport fishing in West Africa is a memorable and exciting holiday. The catch can be surprisingly big whether it is barracuda, bonita, king mackerel, African pompano, yellow fin jack, dorado, grouper, black marlin or any of the numerous spices of fish that can be found in abundance in Sierra Leone. 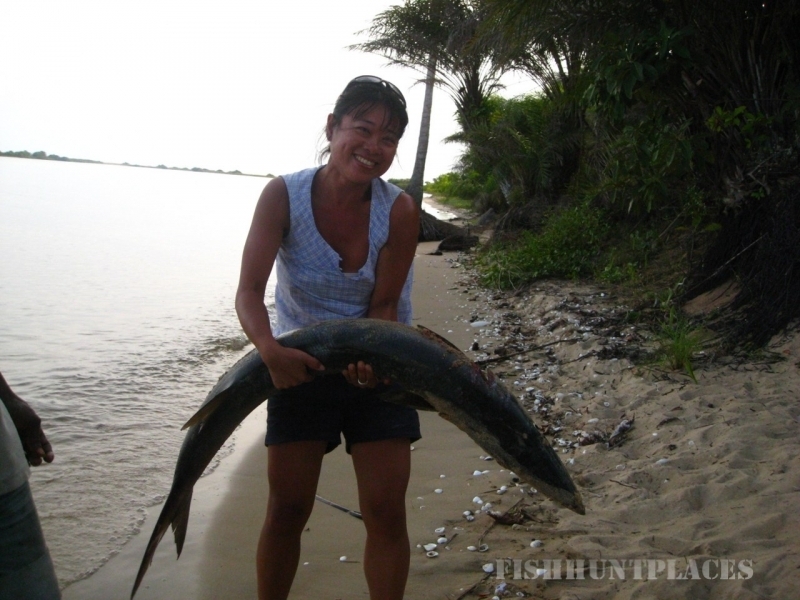 The fishing camps are based in Banana Island and Bonthe Island and all conduct fishing trips to the Turtle Islands. All fishing lodges in Sierra Leone import up to date fishing gear and make available all the equipment necessary to the guest. Keen anglers however are advised to bring their own equipment as well because there is no fishing tackle shop in Sierra Leone to buy additional equipment on demand.